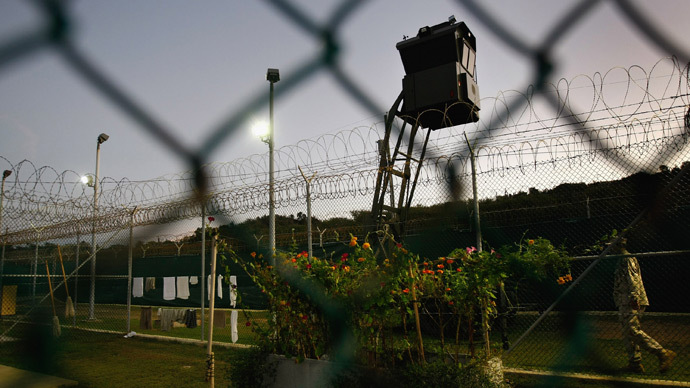 With Gitmo authorities saying only 92 detainees are taking part in the hunger strike, lawyer Clive Stafford claims they know little about what is really happening on the base, expressing concerns of "systematic torture" and a high risk of inmate death. RT:When was the last time you spoke to Shaker Aamer? Clive Stafford Smith: I spoke to Shaker last week on a telephone. I got a message from one of my other clients that he desperately needs to talk again but they are not letting me meet Shaker until next week. RT:What did he say to you? CSS: We went on for an hour and it was basically mainly about the hunger strike. But I think he was more down. He lost a lot more weight in the days between that call and the one we had before. And he was really concerned that he was fading. RT:It’s been more than two month now that the hunger strike has been ongoing. How is his health? CSS: His health was terrible before it started. What do you think if you stop eating for two months? He feels horribly abused. The US unfortunately is taking a very vindictive attitude. The colonel in charge of the camp seems to have an absurd position on how you treat people. The colonel said to one of my other clients ‘We know how to deal with you because I’ve got children myself’. And Shaker’s response, which I thought was quite humorous, was ‘If he is treating us as children we need to send the social services around there to straighten them out ’. RT:Have you seen evidence of severe attitudes towards prisoners there? CSS: Well, Shaker is going through what they now call FCE – forcible cell extraction, which is a euphemism that has gone through many transitions for the last several years. They used to call it ERF – the Emergency Reaction Force, but Shaker called it Extreme Repression Force. What that is, is when a prisoner doesn’t do exactly what they told, the six guns dressed up as if they are in Darth Vader outfits come in and basically beat him up. They pin him to the floor. Shaker described it like one 300-pound guy would sit on him and knee him in stomach. And I’ve seen the bruises on him from this process. This is happening to him all the time right now, because they have a process where anything he asks for they won’t just give it to him but send an FCE team. If he wants a bottle of water - they send them, if he wants his medicines – they send them. Now he just doesn’t ask for his medication because he doesn’t want them to beat him. RT:What’s the atmosphere in the detention camp? CSS: I spent my whole life representing people on death rows. I’ve been to most of the death rows of the southern states of America. Guantanamo, for all the nonsense that the military puts out about it, is worse than any death row I’ve ever been to on two different levels. First you’ve got the physical treatment of the prisoners. 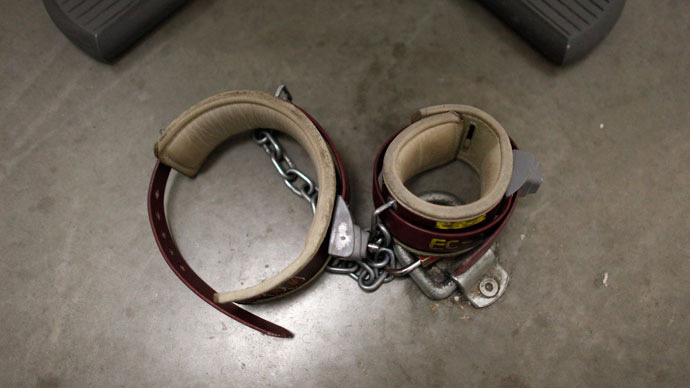 There is no prison in the US, where you can beat a prisoner and not get sued until next millennium. So it’s worse because no one controls the military. But on the other level it’s far worse psychologically. The military got upset when we called Guantanamo a gulag, because they don’t like the echoes of the Soviet Union and the old days. To take that analogy a bit further, which I think is totally fair, I don’t think that there was a gulag in the Soviet Union where 52 percent of the prisoners had been told that they were cleared for release but they couldn’t go. That sort of torture is worse than anything. 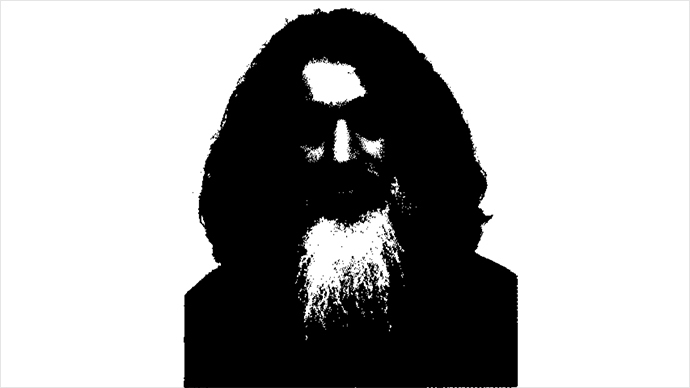 Shaker was told he was cleared in 2007 by Bush, 2009 by Obama and he is still there. And there is no legitimate reason why he can’t come back to London tomorrow. RT: There is new information that’s come to light recently and the Foreign Secretary William Hague wrote to you. Can you tell us what he said? CSS: The new information that just came to light is the new disinformation. The Foreign Secretary wrote to me saying that he’d been told by the Americans that Shaker is only cleared to go to Saudi Arabia, not to Britain. But that’s total drivel. 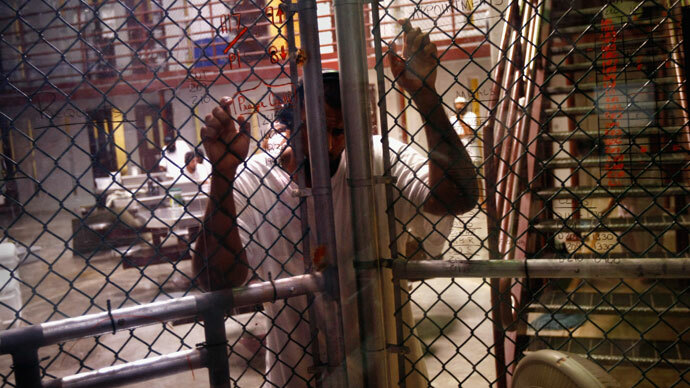 There is no other prisoner, I know of 166 people in Guantanamo, who has only been cleared to go to one place. Shaker has never been told he has only been cleared to go to one place. He’s been given two notices neither of which says that. And there is a reason for it. And the reason is that they want to gag him. The US wants him to go to Saudi Arabia on the promise that the Saudis will keep him banged up forever, he won’t be able to talk to the media, he won’t talk to anyone. So certainly the US would like to keep Shaker quiet because of everything he has seen and everything that’s happened to him. But I’m very much afraid that it’s also the British intelligence services who want to keep him quiet, because they know that Shaker is a witness against them. Going down to Bagram airforce base in January 2002 the British saw him and were legally complicit in his torture there. But also Shaker saw Ibn al-Shaykh al-Libi being tortured and this is the most embarrassing example America has ever had. 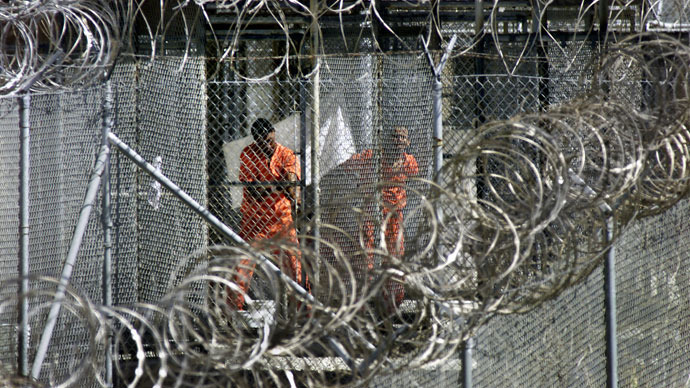 So the last thing that the British or Americans want to come out of the Guantanamo Bay is Shaker Aamer, who can shed some lights on the torture that led to catastrophic mistakes. 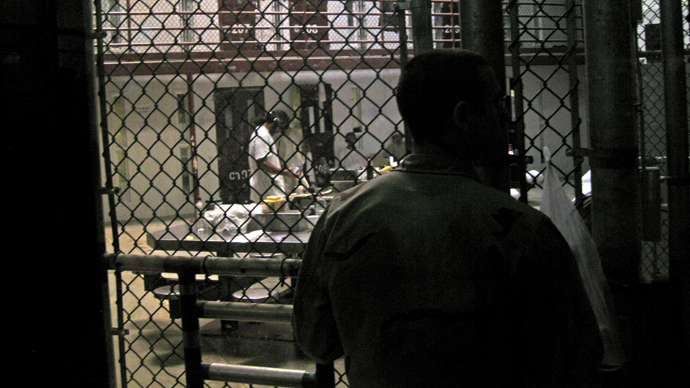 RT: What is it that Shaker Aamer knows that other detainees don’t? CSS: I know it exactly because he told me. He was one of the first five prisoners held by the Americans in Bagram and he was taken there just before New Year 2001. Al-Libi had just been taken and the Americans at the time thought that he was a big Al-Qaeda person, which he wasn’t even a member of. The Americans were abusing him to try to get him to make statements. Shaker was taken from the cage, where he was held, into the room where al-Libi was being abused. He saw the people who were there, he can identify some of those people. The British were present in Bagram at that time. And he can tell you a whole lot about what was going on in terms of Abuse of al-Libi. Now al-Libi can’t speak for himself, because he was sent back to Libya, where he according to the Libyans died or according to the other people was murdered. One extraordinary embarrassing witness has disappeared and Shaker is one of the few people that remain. RT:There have been hunger strikes before. Do you feel this time it’s different? CSS: This time it’s different for two reasons. One is that there are many more people on hunger strike and I think it gives Shaker hope ‘cause he feels that there is solidarity among the prisoners that he hasn’t seen for a long time in that prison. There is another difference and that’s the Americans’ response that was barbaric. That’s not having the desired effect. The colonel in charge thinks that he can beat people into submission. But these are the guys who suffered for eleven years and there is nothing that the colonel can throw at them that they haven’t seen before. SO they cannot just put up with that. It could be different in another way which is that people are going to die. And that’s what I’m most concerned about. Not just Shaker. I’ve got 15 clients down there still. And I’m very concerned that more than one of them could only get out of Guantanamo in a coffin. RT:Do you think there is a possibility of that? CSS: I think Shaker could die just because his physical ailments. He has told me before that he’s slowly falling apart, slowly dying. He wouldn’t have to go on hunger strike for me to worry about him because the litany of his physical ailments is a page long, and he is not getting proper treatment for any of them. So he and other people could very well die, and people have died in Guantanamo. This hunger strike makes it exponentially more likely, again, partly because the Americans don’t know what’s going on. They think some of my guys aren’t on hunger strike when I know they are. What really worries me is that they are not taking steps about people’s physical well-being. RT:How is it possible that they don’t know some people are on hunger strike when they actually are? CSS: That’s the same way that they think a 14 year old child was a big time terrorist, a member of a London cell of Al-Qaeda when he’d never been to Britain. That’s another of my clients. It’s because they just don’t have good intelligence about almost anything. The guy’s name was Mohamed Al-Garani, who I represented there. They couldn’t work out how old he was in eight years of interrogations. That gives you some insight on how limited their knowledge about everything is on that base. Just to give you one example. I know one of my clients is accepting liquid supplement not for himself but for one of his mates, who is really, really ill. And he is forcing this guy to take it because he doesn’t want him to die. The Americans think my client is taking it but he isn’t. So there are so many things that the Americans don’t know, and they won’t know because they aren’t treating those people as humans. If they treated the prisoners with respect the prisoners would treat them with respect. RT:What evidence have you seen yourself that people are actually dying there? CSS: I’ve seen people’s physical status. I made Shaker strip off for me so that I could see some of his physical ailments. I’ve done that with other prisoners. I watched Shaker with a tube up his nose when he was being force-fed and I watched him pull that tube out. And the US general medic once said he’s going to make it less convenient to prisoners by pulling that tube out every time they’re fed. You have a 115cm long tube that’s stuffed up your nose and pulled out after each feeding. That’s just barbaric. It’s illegal for him in first place to force-feed prisoners but to do it in that way just compounds the problem. By doing it he’s just trying to force prisoners to give up the hunger strike, but he is so wrong. What I’m afraid of is that the military authorities don’t seem to understand that these guys have suffered enough that they are just not going to take being abused into submission again. I don’t want my clients to die. But when they do die the authorities don’t listen to us. RT:Is there any way of resolving this combative mentality of the guards and the detainees? RT:Can you tell us about any evidence of the MI6 involvement? CSS: We have to recognize that taking any prisoner to Guantanamo was a serious breach of the Geneva conventions on war crimes. So the British should never have anything to do with Guantanamo Bay in the first place. Did they? Of course they did. 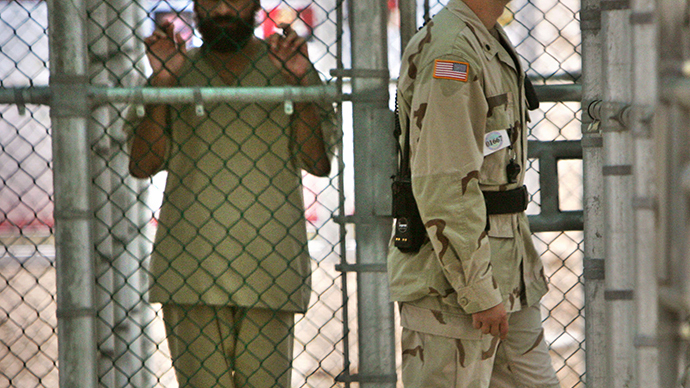 They were sending agents first to Bagram, then to Kandahar and then to Guantanamo, where all the prisoners were held. They were interrogating people there, which is illegal, they were providing information, very often misinformation. All of this is a criminal offense. If I had it my way they would end up facing the international criminal court, but the British police don’t do it.